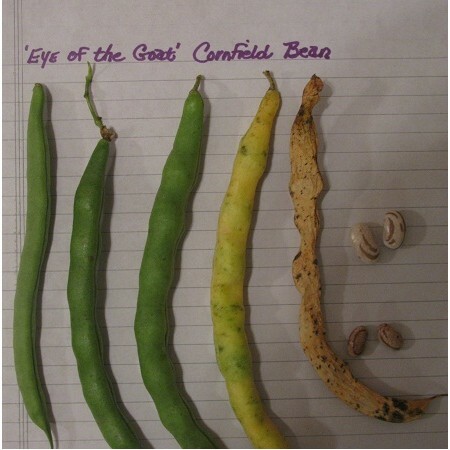 This is a very old heirloom and is a dry shell variety that can also be used as a snap bean, if you pick it early as the pods start to plump. 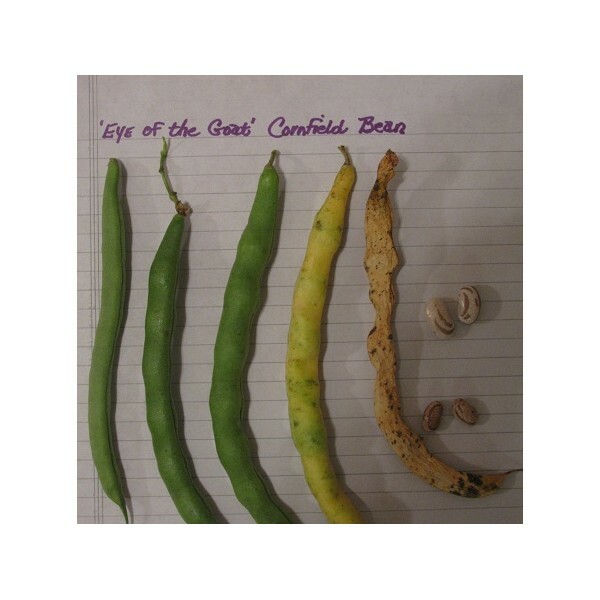 The taupe colored beans with the "Goat Eye" are sweet flavored and smooth textured. The sturdy vines give vigorous yields and are best running up corn stalks and will produce till frost, if kept picked. This pole beans matures early at 55 days. There are 100 beans to a pack.